We live in a bountiful state with a growing food scene from the Front Range to the mountains of Summit County to Aspen to the Western Slope and our wine country. With a plethora of farmers market and focus on fresh and local, Colorado is putting itself on the map for more than just the great outdoors and slopes. My friend and fellow Colorado food blogger, Michele Morris just wrote a cookbook that celebrates Colorado’s bounty! I was lucky enough to receive a copy to review and peruse for myself. It’s a beautiful hardcover book – the kind that you leave out on your coffee table for guests to peruse and ooh and aah at. The cookbook showcases the variety of Colorado cuisine with 120 recipes from Colorado’s finest restaurants, lodges, guest ranches and bed-and-breakfasts. Seeing as this is a carefully curated, crowd-sourced project from the state’s finest, I think it’s a brilliant idea to pay homage. Who better to be the leader and author behind this than Denver-based, Michele? She is an accomplished chef, writer and culinarian as she has cooked around the world and even hosts cooking groups in Italy. The book covers chapters for: Breakfast & Brunch, Appetizers & Snacks, Salads & Sides, Soups & Stews, Main Courses and Desserts & Sweet Treats. As a Coloradan for the last four years, I was excited to see recipes I’ve loved and enjoyed from some of my favorite restaurants including: the Frico Caldo (Italian style potato pancakes with cilantro vinaigrette) from Frasca, Pan-Fried Polenta with Grilled Pears and Gorgonzola Sauce from Salt, Sweet Potato Falafel with Lemon-Tahini Yogurt from Rootdown and Curried Butternut Squash Soup from Colterra (among many others). On each recipe there’s an introduction about the recipe, chef and location and there is often a presentation tip at the end, to guide on how to serve and style the dish. I think that’s a great touch and the splendid photos help with that. As a traveler, it was neat to see bed-and-breakfasts and ranches I’ve never heard of across Colorado, so not only am I inspired to try these dishes but I also have a local travel list building. You don’t have to live in Colorado to enjoy this cookbook (of course, that doesn’t hurt) because the recipes are very accessible and are sure to delight. Seeing as it’s from Colorado, I would say the recipes are meat heavy but there are still a lot of options across each chapter, regardless of your palette. I’m excited to announce that one lucky reader will receive a signed copy of Tasting Colorado! 4. Tweet this blog post and giveaway via the share buttons below. Rules: Eligible only to US residents. You may enter multiple times, but for each entry, please leave a separate comment letting me know how you’ve entered. One winner will be selected at random on Friday, February 15th. In your comment, please be sure you insert your email so I can reach you. UPDATE: Congrats to Jenny Luu for winning the giveaway Date: 2-15-2013. 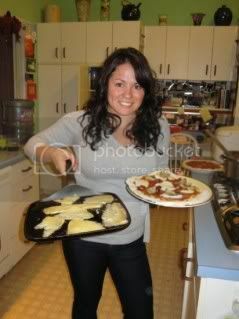 To learn more about Michele visit her website: http://cookingwithmichele.com/. You can purchase the cookbook on Amazon. Craftwood Inn in Manitou Springs comes to mind as quintessential Colorado. Locale and Tangerine in town here also capture Colorado casual spirit. I share a special memory with Frasca and my first time dining there. Essentially, my car broke down on top of Vail Pass in a high traffic snowstorm. I was moving, so my car was packed, my family was following me (luckily!) but that car was packed, too, and after waiting for a tow truck, a LONG, emotional, and stressful afternoon, we finally made it into Boulder. We had reservations to try Frasca for the first time that night; we were so close to canceling but still went. The staff, service, and food was so amazing that we all truly forgot about the day’s drama for the evening – it really was special. Congrats Jenny! You won the giveaway 🙂 Thanks for sharing your Colorado first experience. That’s a good one!